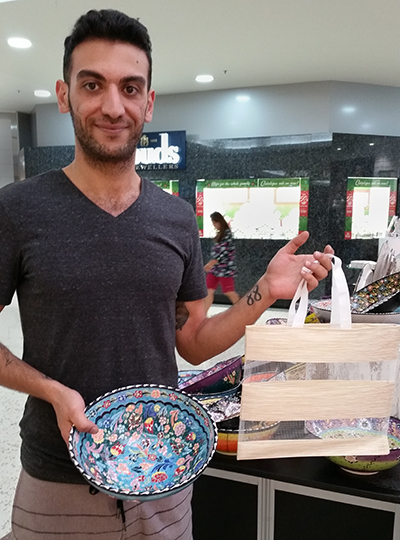 The NRA have been travelling across Queensland over the past few months helping retailers prepare for the plastic bag ban. 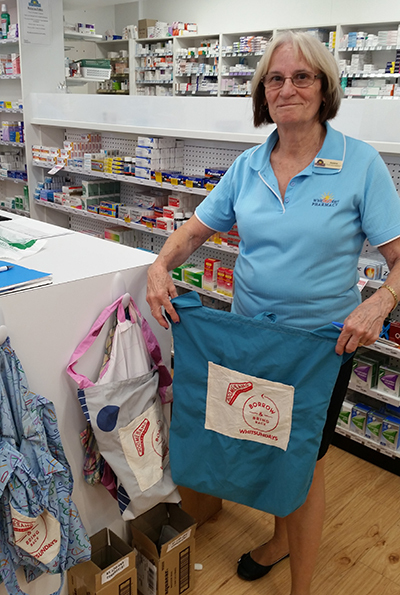 We recently met with retailers in the Mackay region (including Mackay, Bowen, Airlie Beach and Proserpine) and were impressed with local businesses either not using plastic bags at all or preparing to transition away from banned bags. 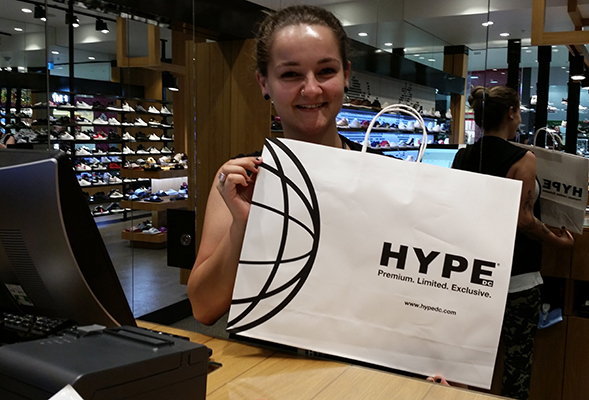 CJ at Hype shows off their stylish paper bags with reinforced handles. Bora at Istanbul Bazaar kindly showed us how their unusual mesh-woven bags can hold their heavy decorative bowls and plates. Debbie at Dezire shows off their polka-dot craft bags perfect for brand alignment with their great range of intimate clothing. 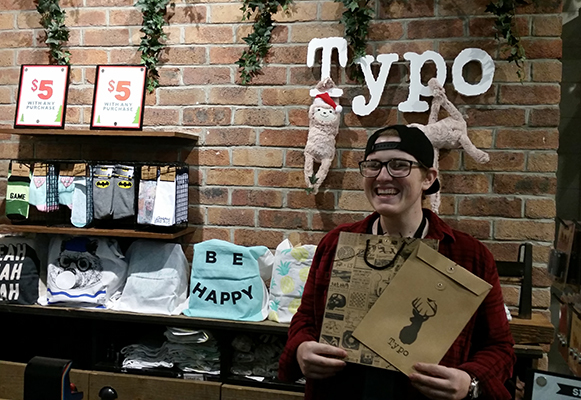 Typo has already introduced a wide range of paper shopping bags and cloth bags which exemplify the unique personality of the Typo brand, as kindly demonstrated by Zak at the Caneland Central store. 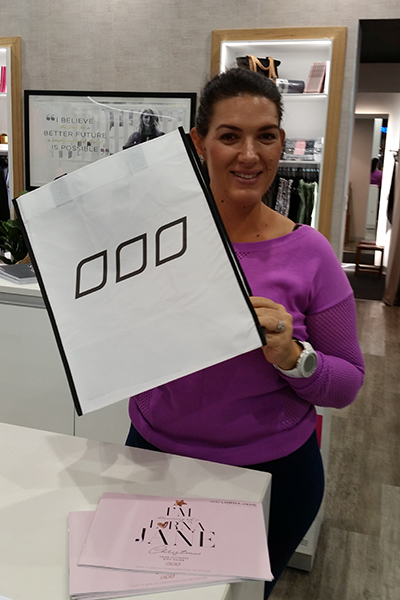 Deneille at Lorna Jane shows off their sleek reusable bags that some customers use as a gym bag. 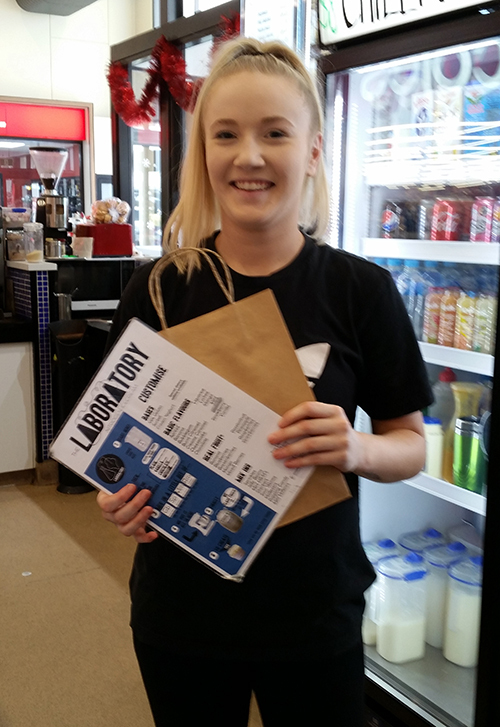 Jordan at Laboratory Dessert Bar at Parkside Plaza, Mackay, only uses paper bags. 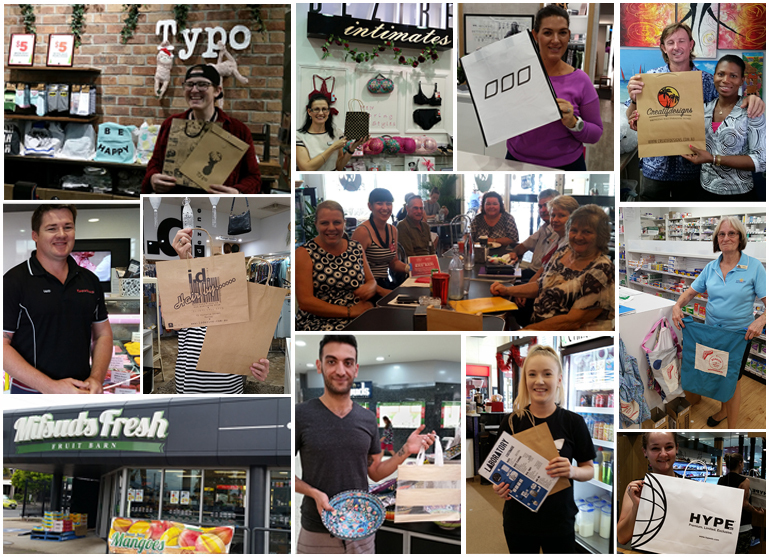 David is currently researching paper bags and reusable bags with eye-catching branding so that customers will want to buy and covet their bags. 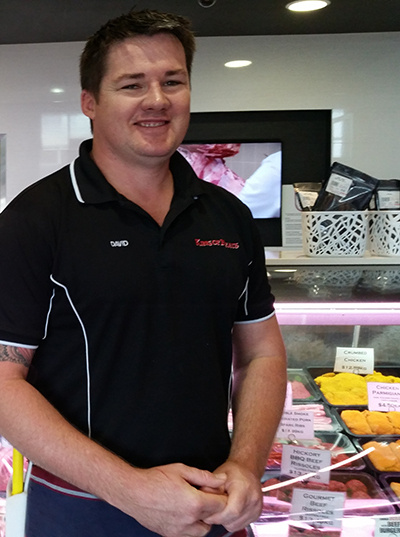 After talking with the NRA, David and the team at King of Meats were relieved to hear that plastic barrier bags are not included in the ban, making it a little easier to manage. 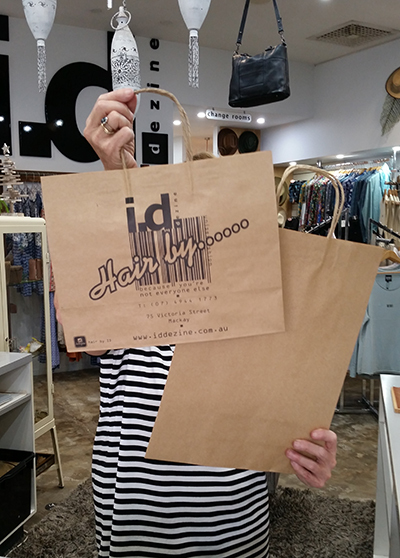 Donna at ID Dezine located in Mackay’s CBD hides behind their stylish craft bags. 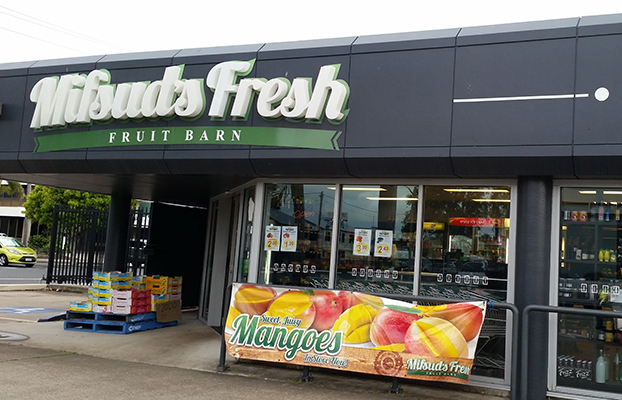 The team at Mifsuds Fresh, a great fruit and vege shop in Mackay, were keen to hear about the bag ban and their options. They are currently exploring recycled crates that they make and sell as one alternative options. 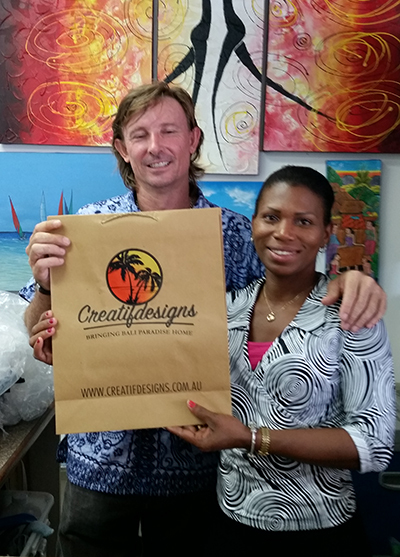 Adrian and Marlen at Creatif Designs import their own paper bags from Bali and found they could get them at a reasonable price, even including full colour printing. 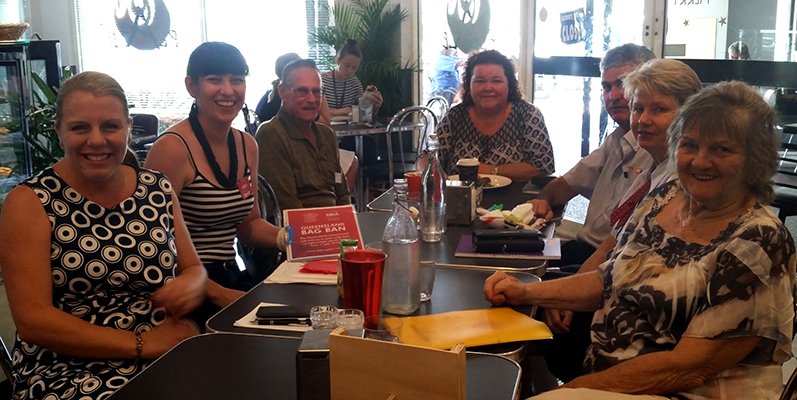 Ebony from the NRA met up with members of the Proserpine Chamber of Commerce to discuss the implications of the bag ban on their businesses which included the local museum, newsagency and IGA. Barb (far right) even gave us a beautiful, locally-made Boomerang Bag! 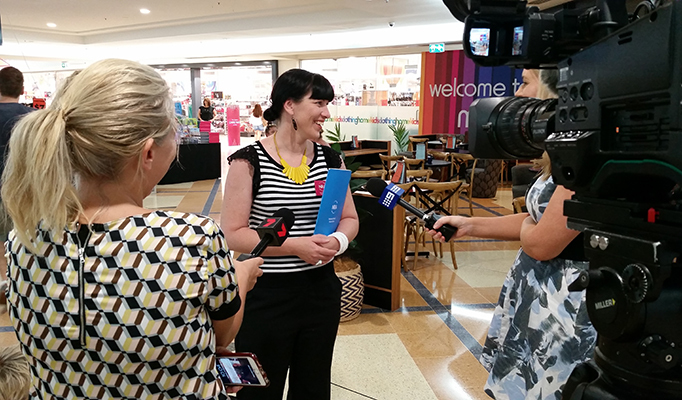 Channel 7 and Channel 9 in Mackay got the low-down on the bag ban from NRA representative, Ebony Johnson, at Mount Pleasant Centre. How is your business managing the plastic bag ban? We’d love to hear from you – contact us at qldbagban@nra.net.au.